Meeting human needs within the ecological limits of our planet calls for continuous reflection on, and redesigning of, agricultural technologies and practices. Such technologies include fertilisers, the discovery and use of which have been one of the key factors for increasing crop yield, agricultural productivity and food security. Fertiliser use comes, however, at an environmental cost, and fertilisers have also not been a very economically effective production factor to lift many poor farmers out of poverty, especially in African countries where application on poor soils of unbalanced compositions of nutrients in fertilisers has shown limited impact on yield increase. Agronomic practices to apply existing mineral fertilisers, primarily containing N, P and K, at the right time, the right place, in the right amount, and of the right composition can improve the use efficiency of fertilisers. However, the overall progress to reduce the negative side effects is inadequate for the desired transformation toward sustainable agriculture in poor countries. Globally, there have been no fundamental reflections about the role and functioning of mineral fertilisers over the past 5 decades or more, and compared to other sectors, dismal investments have been made in mineral fertiliser research and development (R&D). 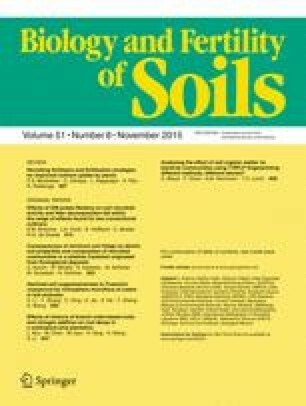 In this paper, we reflect on current fertilisers and propose a more deliberate adoption of knowledge of plant physiological processes—including the diversity of mineral nutrient uptake mechanisms, their translocation and metabolism—as an entry point in identifying the physicochemical “packaging” of nutrients, their composition, amount and timing of application to meet plant physiological needs for improved instantaneous uptake. In addition to delivery through the root, we suggest that efforts be redoubled with several other uptake avenues, which as of now are at best haphazard, for the delivery of nutrients to the plant, including above ground parts and seed coating. Furthermore, ecological processes, including nutrient-specific interactions in plant and soil, plant-microorganism symbiosis, and nanotechnology, have to be exploited to enhance nutrient uptake. It is hoped that concerted R&D efforts will be pursued to achieve these strategies. Prem S. Bindraban and Christian Dimkpa contributed equally to this work. The use of mineral fertilisers is among key factors driving the increased global agricultural production required to feed the rising human population. Synthetic N compounds produce roughly half of today’s world food (Erisman et al. 2008). Depending on food demand, improvements in nutrient uptake efficiency, production of biofuels and efficiency of nutrient recycling (Heffer and Prud'homme 2008; Cordell et al. 2009), the projected consumption of N fertilisers is likely to change from the current 105 Mt (million tonnes) in 2010 to 80–180 Mt by 2050. Similarly, the consumption of phosphate (P2O5) could change from the current 40 Mt to 35–70 Mt (Sutton et al. 2013), while current potash (K2O) consumption, approximating 29 Mt, may increase by 1 to 2 % per annum, reaching about 32 Mt in 2015 (FAO 2011; Zörb et al. 2014). The global use of fertilisers is highly unbalanced: Over-fertilisation in North America, Western Europe, China and India causes environmental pollution, while underutilisation in Africa, Eurasia and parts of Latin America causes soil mining (National Geographic 2013). It has been estimated that the over-fertilisation with N in China, occurring in the order of 11.8 Mt, could potentially double yields if used on the 174 million ha of cropland in sub-Saharan Africa (Ju et al. 2009; Twomlow et al. 2010). In addition, there is often an imbalance in the ratio of nutrients. In Africa, N and P consumption is estimated at 2.8 Mt and 96 Kt, signifying increases of 150 and 16 %, respectively, between 1975 and 2005 (Peñuelas et al. 2012, 2013). This contrasts from the industrialised countries where both N and P supplies are balanced, or where soil P capital has been built up over time to offset any under supply (van der Velde et al. 2014; Withers et al. 2014). With secondary and micro-nutrients, use in crop production is virtually lacking in Africa (see for e.g. Vanlauwe et al. 2014). The application only of NPK for decades may have induced micronutrient deficiency and soil deterioration (Stoorvogel et al. 1993; Bindraban et al. 2012), with yield responses of between 20 and 70 % increases found upon application of secondary and micronutrients, dependent on the crop (Zingore et al. 2008; Vanlauwe et al. 2014; Voortman and Bindraban 2015). Currently, emphasis is placed on improving the use efficiency of fertilisers through the 4R Nutrient Stewardship principle, i.e. the use of fertiliser from the right source, at the right rate and at the right time, with the right placement (IPNI 2014). A range of agronomic practices are pursued to implement the 4R approach, including precision application, deep placement, row application, coating of fertilisers for slow release to reduce nutrient losses and tuning the timing and availability of nutrients to plant (Chien et al. 2009; Linquist et al. 2013). Unfortunately, the overall progress achieved through these practices has been insufficient to address the flaws of current fertilisers. Yet, fertiliser research has largely been neglected for several decades. Fuglie et al. (2011) estimated that the fertiliser industry invests only 0.1–0.2 % of its revenue in R&D, compared with about 10 and 15–20 % by the seed and pharmaceutical sectors, respectively. Therefore, given the essentiality of fertilisers to secure sufficient food, there is an urgent need for revisiting the concept of fertilisers, to reduce its environmental footprint while making them more economically efficient for resource-poor farmers. In achieving the aim of fertilisers, the desire is that the nutrients end up only in the target plant. In reality, however, nutrients in fertilisers do not all end up in the plant; up to 20–80 % of nutrients in fertilisers may be lost to the environment or temporarily accumulate in the soil due to several complex soil chemistries that preclude their immediate availability to the plant. This is truer for P and micronutrients than it is for N (Sebilo et al. 2013). There is, therefore, no doubt that producing fertilisers with better plant uptake potential would reduce nutrient loss, in turn reducing the amount of fertilisation required in the first place. Accordingly, Withers et al. (2014) made the case for perceiving fertilisers as an ingredient for feeding crops, rather than soil. In this paper, we share our broad vision for a new path in fertiliser production and/or delivery strategies, especially in the context of developing countries, particularly of Sub-Saharan Africa. We propound that basic biological and ecological processes be taken as a starting point to create avenues for arriving at innovative fertilisers and plant nutrient delivery strategies. Subsequently, we discuss a number of considerations that could guide the production of novel fertilisers and alternative—and even complimentary—mechanisms to more efficiently deliver the nutrients into plants, thereby increasing fertiliser use efficiency. In this section, we revisit basic aspects of nutrients and their interactions with crop and edaphic factors, to set the foundation for arriving at novel fertilisers. For their normal growth, plants require 14 nutrient elements in different amounts (Table 1). Other mineral elements, though not essential for plant growth, but which could be beneficial, include cobalt, selenium, silicon and sodium. Table 1 also presents the amounts of each of the essential nutrients required for growth for a generic plant, as well as their levels in one ton of crop seed, using maize kernel as an example. The table further presents the currently known chemical forms and mechanisms by which the nutrients are taken up by plants, factors that influence their bioavailability such as pH (Lucas and Davis 1961), and their uptake interaction with other nutrients (Marschner 2012). Given the similarity in the uptake forms (e.g. as ions) of some elements, it is vital to understand the antagonistic and synergistic interactions that may occur during uptake from the soil. This is important for producing fertilisers with specific compositions that are efficient for crop production. Antagonism occurs among most nutrients but appears to have been more examined among the micronutrients. Collectively, the uptake by plants of nutrient elements is directed by multiple transporters, many of which transport more than one nutrient type. For example, although the iron-regulated transporter (Irt) is induced primarily by Fe deficiency, it transports Fe, Mn, Cu, Zn and possibly other divalent cations into the plant (Sinclair and Krämer 2012). Thus, the potential of sharing similar uptake and transport systems by these ions results in competition among them, leading to antagonism. For instance, Zn inhibited both the bioavailability in the rhizosphere and plant uptake of Fe and Mn by bean, while Cu also influenced Zn, Fe, Mn and Ca contents in shoot (Dimkpa et al. 2014, 2015). Similarly, Fe treatment reduced the uptake of Mn, Zn and Cu in the xylem sap of barley (Alam et al. 2001), and even at the level of the biological transporter, addition of Zn to a Fe-deficient system stimulated the expression of an Irt gene to a greater extent than Fe deficiency alone (Connolly et al. 2002). Notably, such antagonism is not limited to soil-root uptake pathways, given that a foliar application of Fe also diminished Mn, Zn and Cu uptake in wheat (Ghasemi-Fasaei and Ronaghi 2008). Antagonism among nutrient elements often occurs when the ratio of elements are unbalanced. It seems plausible that transporters, when presented with a mixture of nutrients composed of ions that they transport, would preferentially transport more of the more abundant nutrient, inhibiting the uptake of the less abundant minerals as observed in Arabidopsis for Mn vs. Fe, and in bean for Zn vs. Fe and Mn (Yang et al. 2008; Dimkpa et al. 2014). From Marschner 2012. The data on maize kernel contents for nutrients other than Cl, Mo and Ni were averaged from a 3-year measurement from plants raised under conventional (pesticide, lime and NPK fertiliser applications) conditions (Warman and Havard 1998). Cl- and Mo data were obtained from the International Fertiliser Society’s World Fertilizer Use Manual, and Ni content was from an unidentified seed source (Kohiyama et al. 1992). Similar to antagonistic interactions among nutrient elements, synergism in nutrient uptake also has been demonstrated. Synergism between P and Mn, as well as between K and Mn, and Mg and Ca, is observed in barley, with increasing P application (Matula 1992). Riedell (2010) reported the enhanced accumulation of Ca and Mn with N-fertiliser application in maize, which for Mn occurred over the plant’s life cycle, while Ca uptake was enhanced at tasselling. Likewise, the application of NH4 +-N and P enhanced Zn and Fe uptake by maize in calcareous soil by mechanisms involving the alteration of root traits and acidification of the rhizosphere (Ma et al. 2014). The occurrence of antagonism or synergism among nutrients demonstrates how fertiliser formulations of specific nutrient composition can influence the overall nutrition of plants. Therefore, these phenomena ought to be considered when nutrients are formulated into fertilisers, so that compatible nutrients can be leveraged, while antagonistic ones are excluded. In view of the potentially vast impact of fertilisers on food and the environment, Conijn et al. (2013) outlined a quantitative analytical framework to assess the impact of fertiliser interventions on the ecological drivers of planetary change aimed at raising societal awareness on the urgent need for fertiliser innovations. One approach in the 4R Nutrient Stewardship could be to synchronise the allocation of fertiliser types to soil types and weather conditions that could be identified with generic crop and soil modelling approaches. Systematic analyses of agro-ecosystems, with crop models as one tool, have allowed deeper understanding of the production ecological processes and functioning of these systems (Van Ittersum and Rabbinge 1997). De Wit (1992) showed that yields could reach 10 tons ha−1, well beyond mainstream insights, and revealed for instance that nutrients, rather than water, were limiting yields more severely in the Sahelian region. These findings have governed agricultural investments in developed nations, with current average wheat yield in the Netherlands of over 9.5 tons ha−1, up from about 3 tons ha−1 in the 1960s. Crop modelling is being used to identify fertiliser requirements to attain desired yield levels, but the poor resolution of soil data (Leenaars 2013; Hengl et al. 2014) and the complex interactions among the 14 plant nutrients (and other production factors) may allow identification of macro-nutrients requirements but not of secondary and micro-nutrients, whereas the latter nutrients are increasingly being demonstrated to be influential in crop yield in the unresponsive soils of Africa (Vanlauwe et al. 2010, 2014 ). Complementing this approach with geo-spatial analysis based on soil testing and agronomic fertiliser trials would allow for analysing the direct relation between soil properties and the real effects of nutrients on yield, under given management practices. We recommend this integrated approach with initial research. Soil and plant diagnostic tools, such as mobile spectrometers (Shepherd and Walsh 2007) and quick assessment kits, should become an integral part of fine-tuning fertiliser recommendations to soil type, and as guide to producers, traders and users, for targeting the most relevant fertiliser types to their regions and production systems. However, while many claims are made about new devices that rapidly measure soil properties, interpretation may appear cumbersome, as soil properties can be measured in different ways and the relevance of the data is likely to be crop-and environment-specific. This scenario calls for harmonisation and standardisation of data and methodologies. Also, instant methods for the assessment of nutrient contents of fertilisers are essential to prevent adulteration yet with daunting challenges (e.g. Perumal et al. 2014). We opine that the gap between the intended fertiliser functionality and their actual impact arises from the fact that fertilisers are made by chemists, chemical engineers and industrial processing technologists, following laws of physical and chemical processes, with little input from the knowledge of plant physiology and need for agro-ecological specificity of crop nutrition. A renewed impetus is, therefore, needed, to arrive at novel ways of packaging and delivering nutrients to plants, based on a better integration of the plant physiological and ecological processes related to the different modes of nutrient uptake, transport and metabolism. This should be harmonised with timing and quantities of nutrient required for the physiological growth processes, comparable to the packaging and administration of nutrients to humans, in sync with our metabolism. Dependent on environmental conditions, crop specie, developmental stage and health status, plants differentially take up, transport, allocate and assign nutrients different organs. However, knowledge of the various uptake mechanisms and pathways, whether soil or aerially, has not been adequately harnessed to increase our understanding of the acquisition of nutrients by different food crops for the purpose of targeted and plant-specific fertiliser strategies. Here, we argue that a more unified knowledge of nutrient biochemical pathways in plants could help in targeting nutrient delivery to where most required and could facilitate further development of viable alternative uptake mechanisms such as foliar fertilisers (Voogt et al. 2013). In addition, understanding the ability of plants to increase their nutrient storage capacity could help to increase uptake, yield and food quality (Sinclair and Rufty 2012). Uptake of nutrient elements as charged ions implies that active transport by proteins is required to move them across the root cell membrane. For example, N is taken up by plants in two metabolically dissimilar forms, NO3 − or NH4 + (Table 1; Masclaux-Daubresse et al. 2010). A portion of NO3 − is transported to the leaves, where it is reduced to NH4 + and then reacts with sugars to generate nucleic acids, amino acids and other building blocks, a rapid process necessary to avoid the risk of toxic ammonia production. In contrast, NH4 + is metabolised mainly in the root, due, perhaps, to its lower mobility. Considering that sugars are produced in the leaves prior to root delivery, the form of N applied to crops could cause differential responses in the plant under different environmental conditions (Moritsugu et al. 1983). In high-temperature agro-ecological conditions, leaf sugar would be metabolised at a faster rate due to temperature-induced increase in respiration, resulting in less sugar being availed the root for conversion into derived products. Under such condition, N-fertiliser primarily based on NH4 + may not support plant growth to the desired extent. Accordingly, leafy vegetables may benefit more from NO3 −-N than NH4 +-N application, since the former would be transported to the leaves where the sugar is metabolised. On the other hand, at lower temperatures where sugars are more readily available to the root, coupled with reduced transport of NO3 −, NH4 + might be the preferred N-fertiliser. Thus, dependent on environmental conditions, specific plant physiologies should be leveraged to target fertiliser types to crops. As indicated, the role of micronutrients in influencing plant growth and yield, even in the presence of adequate NPK, is becoming increasingly obvious, and nowhere is this more apparent than in the nutrient-poor soils of many African countries (Vanlauwe et al. 2010, 2014). The uptake of some ionic micronutrients from the soil is preceded by their biological conversion to forms amenable for root uptake. With Fe, for example, the conversion of Fe3+ to Fe2+ is accomplished by members of a dicot and non-grass monocot metal reductase enzyme family embedded in the root plasma membrane (Norvell et al. 1993; Robinson et al. 1999). In contrast, roots of grass monocots exude phytosiderophores into the rhizosphere to scavenge for Fe3+, wherein the intact Fe-siderophore complex is taken up (Schaaf et al. 2004). Although both the reductase and phytosiderophore systems are induced in response to Fe deficiency, they are non-specific enough to competitively permit the uptake of other mineral nutrients such as Mn, Zn and Cu (Schaaf et al. 2004; Johnson and Barton 2007). Yet, current fertiliser formulations with micronutrients involve their amendment into the main NPK fertilisers, with little, if any, concern about the fate of competing micronutrients in the formulations. Given the role of micronutrients in crop yield and quality, the influence of specific plant-nutrient physiology on the use efficiency of micronutrient fertiliser formulations deserves not only continuous but also unified research. Furthermore, the role of specific plant root exudates (organic acids, phytosiderophores and reductants) in influencing nutrient availability to plants should be rigorously explored as a step not only towards crop-specific fertiliser production but also for integrated soil fertility management practices, such as selecting crop species for beneficial intercropping (Badri and Vivanco 2009; Zuo and Zhang 2009; Berendsen et al. 2012; Pii et al. 2015). Obviously, a clearer understanding of the physiology surrounding plant nutrition should permit the identification of a range of nutrient delivery strategies that ensure both instantaneous plant uptake and administration of the relevant nutrient. As illustrated below (Fig. 1), in addition to soil application—whether broadcast, placed or timed—fertilisation strategies can be better integrated to include management of seed nutrient content, seed coating, soil, leaf and fruit application, and exploitable throughout the crop cycle. Figure 1 illustrates how the currently fragmented fertilisation regimes could be integrated into a comprehensive system that considers different and complementary fertilisation pathways. In such a system, field (soil) or seed-specific nutrient content determinations should direct subsequent application of fertilisers. Consequently, fertilisers for soil application or seed coating should be selected based on their content of nutrients that promote early germination and root growth (Smit et al. 2013). For nutrients involved in chlorophyll and/or photosynthetic processes, foliar application may be exploited to preclude uptake inhibitions caused by complex soil chemistry and the long-distance transport via root to shoot. In essence, nutrients should be applied to plant areas where they are most physiologically relevant. Soil properties dictate to a very large degree the responses of crops to nutrient elements. The pH of a soil, for example, can determine the extent to which a nutrient is available to plants (Marschner 2012). Change in pH induced by a fertiliser treatment could also complicate the situation: The alkaline nature of some urea-micronutrient mixed fertilisers could impede nutrient solubility and, therefore, availability, as observed for Zn amended to urea (Milani et al. 2012). NH4 +-based fertilisers would acidify the soil due to proton release, thereby affecting P availability. However, N-fertilisers that acidify the rhizosphere would be suitable for alkaline soils where Fe, Zn and Mn availability are limited. Yet, in many production systems, different fertilisers are applied to soil without proper consideration of soil pH, or the effects of the applied fertiliser on soil pH and thus the availability of other nutrients. Fortunately, plants can adapt to soil properties in order to enhance their ability to dissolve and take up nutrients from the soil. These adaptations may feature anatomical, morphological or physiological characteristics in specific environments such as nutrient-poor soils (Aerts 1999). Morphologically, roots may develop high competitive ability for nutrient uptake through extensive rooting systems. Physiological responses such as a large internal nutrient pool, low nutrient content in plant tissue, enhanced remobilisation within plants and low rates of nutrient loss have been reported (e.g. Marschner 2012). Anatomical features in roots or leaves may assist in facilitating nutrient uptake and transport. Other plants have evolved to live in symbiosis with fungi and bacteria, or as indicated, excrete organic acids in order to increase soil nutrient uptake (Badri and Vivanco 2009; Hinsinger et al. 2009). Despite these potentials, knowledge about these mechanisms is fragmented, with varying claims about their effectiveness being found in laboratory and greenhouse experiments (e.g. Koele et al. 2014). The ultimate applicability under field conditions is less apparent. Soils, whether poor or fertile, often contain more nutrients than required for crop annual uptake, but a proportion of the nutrients are chemically fixed in soil. For example, due to its strong reaction with soil and subsequent lack of mobility, especially in the acidic soils of the tropics and subtropics, P is limited in bioavailability in about 30–40 % of the world’s arable land (Runge-Metzger 1995; Sanchez et al. 1997). Extensive root systems such as longer roots, more lateral roots and more root hairs are essential to gain access to these non-bioavailable nutrients (Zhu and Lynch 2004; Hammond et al. 2009; Ma et al. 2013). Smit et al. (2013) discuss how enhancing early root growth could stimulate uptake of P, as young roots have high uptake capacity. In addition to P, changes in root architecture are induced by NH4 +, Zn, K and Na (the last two as chloride salts), leading to an enhanced ability to accumulate not only the nutrient in question but also others (Potters et al. 2007, and references therein; Ma et al. 2013; Stewart et al. 2015). Thus, the modification of root architecture by certain nutrient elements could have a profound influence on the overall plant nutritional status. This effect can be significant when these nutrients are applied in a way that boosts early changes in root architecture, thus stimulating early growth of the plants. Despite these opportunities, the lack of systematic research that directly link nutrient element-induced changes in root architecture to the overall enhancement of plant growth and nutrition with a view to designing crop-specific fertilisation strategies is remarkable. Plant breeding, so far, has emphasised increase in yield potential, primarily of the major grains, by increasing the harvestable portion (Sayre et al. 1997), and has evolved to breeding for early maturity, resistance against pests and diseases, as well as tolerance to drought. However, despite all the information available on the diversity of nutrient uptake mechanisms, there has been only little focus on breeding for root architecture and nutrient uptake efficiency by roots. Even less attention has been paid to nutrient absorption from other plant organs and to the mechanisms involved in the absorption and metabolism of nutrients not supplied via the soil. Such novel and potentially more effective fertiliser delivery systems can be devised for agronomists and may entail the development of new plant varieties. Fortunately, some attention is now beginning to be paid to breeding for nutrient quality, such as increased Fe (Sperotto et al. 2012) and Zn (Mabesa et al. 2013) content. On the other hand, considering the stock of soil P (so-called legacy P) available in the intensive agricultural systems of Western Europe, North America and China, breeding crops that require less P, without compromising crop performance, would be useful as well (see for e.g. Wang et al. 2010; Veneklaas et al. 2012). In this case, undesirable plant traits such as high phytate content could be managed by breeding plants with lower P requirements (Withers et al. 2014). Indeed, such breeding approach could address two issues: reducing the requirement for P fertiliser application and reducing, if not eliminating, the effect of phytate on the bioavailability of micro and secondary nutrients such as Fe, Zn, Ca and Mg.
Once nutrients are taken up by plants and consumed by humans or animals, the waste ends up in the environment. Recycling of nutrients from waste water, manure and offal reduces overall losses and helps to recapture nutrients for plant uptake. Such organic fertilisers contain macro- and micro-nutrients, which may provide added value, compared with standard mineral fertilisers. Shahbaz et al. (2014) demonstrated that bioslurry not only helps to more than double the uptake of N in Okra at similar rates of N-fertiliser application but also increases fruiting (number and weight) and dry matter content of plants. They associate this finding to favourable conditioning by the bioslurry of soil characteristics related to microbial activity that reduces N losses. These workers did not, however, discuss the role of the micronutrients contained in the bioslurry that also might have contributed to the increased N uptake (Oprica et al. 2014). In contrast, Islam (2006) reports only small yield effects of bioslurry amendment. Despite the potential benefits, organic fertilisers may be unbalanced in terms of relative availability of nutrients, as well as having potentially harmful components such as bacteria, fungi or toxic levels of (micro) nutrients, heavy metals or toxic organic compounds. Fortunately, protocols are being developed to ensure the usefulness of organic fertilisers (Mukome et al. 2013; Oprica et al. 2014), and for testing of fractioning methods for obtaining correct information regarding nutrients in different forms of organic waste, including composts, slurries, sludges and digestates, such as for P and its solubility in the presence of other micronutrients (Garcia-Albacete et al. 2012). Along these lines, Withers et al. (2014) made a compelling case for increasing the use of recycled P from organic streams in order to substitute for freshly mined P. Still, there is no doubt that proper processing and sound experimentation to disentangle the many nutrient variables affecting plant growth are essential for demonstrating the value of organic fertilisers. It would seem that given the many components in an organic fertiliser source, an assessment of the impact of recycled fertilisers on plant growth may fall short in terms of sound demonstration of the precise factor contributing to the crop performance. Often, the control treatments constitute no added nutrients or incomparable treatments of NPK lacking micronutrients (e.g. Jha et al. 2011). Normative research that set standards and protocols for scientific scrutiny and evaluations of any fertiliser product, whether recycled or newly mined or manufactured, ought to guide the current, mostly unregulated entry of fertiliser products into the marketplace. The research should also allow the unravelling of the functioning mechanisms of the products, as the complexity of plant nutrient uptake processes may cause unpredictable product behaviour and cause them to be effective only under specific crop and environmental conditions. Leveraging knowledge gained from the many different individual studies, the opportunity arises for the tuning of fertiliser technologies to better synchronise them with the understanding of plant nutrition and rhizosphere processes and be specific to crops and agro-ecosystems. This will contrast with the current practice of largely using generic fertilisers for most crops and soils. In the following sections, we highlight, based on evidence from the scientific literature, a number of interventions that could facilitate the attainment of a more comprehensive and effective crop fertilisation program. Guaranteeing good crop performance begins with the selection of quality seeds. In particular, the nutrient contents of a seed may be crucial to the performance of the ensuing plant when soil nutrients are in limited supply. Brodrick et al. (1995) emphasised the need for conducting nutrient analysis of seed batches prior to sowing. They show that Mo was a limiting factor in N2 fixation in soils in Eastern and Southern Africa and that sowing bean seeds with sufficient Mo contents in soil with low Mo prevents the production of Mo-deficient seeds until the fourth growth cycle. Therefore, the question arises whether a role in plant performance of nutrients carried over in seeds could be facilitated by spraying maturing fruits or seeds with specific nutrients prior to harvest to help boost the nutrient content for the next growth cycle (Fig. 1). Indeed, there is evidence that certain nutrients might be required to facilitate seed germination. In a 5-day germination study with rapeseed, seeds with low S, Mg and Ca had germination failure, while seeds which took more than 3 days to germinate were B-deficient (Eggert and von Wirén 2013). The finding for S, for example, is hardly surprising, it being a component of the early-required amino acids, cysteine and methionine, involved in antioxidant regulation and synthesis of hormones, DNA and proteins (Rajjou et al. 2012). Similarly, P has been well recognised in many studies as being required for seed germination and early development of seedlings (e.g. Catusse et al. 2008; Nadeem et al. 2011). Thus, determining seed nutrient contents in relation to seed germination and early seedling head-start for different crops could improve future crop productivity. Following harvest and determination of seed nutrient contents, seeds can be coated with specific nutrients occurring in insufficient amounts in the seed, prior to next sowing (Fig. 1). In principle, coating seeds with nutrients permits the emerging radicle to make early contact with nutrients being released from the coating formulation onto the seed surface. While further systematic research would be necessary in this area, there is a strong prospect for coating of seeds with ‘germination-boosting’ nutrients to provide the impetus needed to establish early plant vigour as demonstrated in a few studies. For example, Nijënstein (2007) show that coating rye grass seeds with nutrients increased lateral root formation within the first 15 days of sowing, compared to plants from uncoated seeds. In that study, seed coating with N alone demonstrated greater efficacy than when combined with P, although coating with P enhanced P uptake by the plant. Similarly, Wiatrak (2013) demonstrated for wheat that seed coating with a mixed formulation of Cu, Zn and Mn (at 65, 395 and 530 ml kg−1 seed) significantly increased plant biomass and grain yield, as well as plant N and P contents. However, no effect of the seed coating treatment was observed in Cu, Mn and Zn contents. At higher (395 and 530 mg kg−1 seed) nutrient concentrations, coating of the seed also resulted in reduced N, P and Cu uptake. Contrary to these findings, Scott et al. (1987) report that the emergence of wheat, but not oat, was reduced by P coating, whereas coating with urea reduced the emergence of both plants, more so, of wheat. Similarly, barley seeds coated with P had delayed germination but increased chlorophyll content and seed formation (Zeļonka et al. 2005). Collectively, these contrasting, even if haphazard, data suggest that the nutrient specificity of seed coating formulations and the initial nutrient content of seed lots need to be determined for different crops and that more systematic studies are required, prior to any deliberate widespread adoption of a fertiliser regime in which seed coating is a component. It is known that nutrient-limiting processes such as antagonism among nutrients, extreme pH and other complex chemistries occur mainly in the soil, although there is evidence that antagonism between nutrients also could occur in planta (e.g. Ghasemi-Fasaei and Ronaghi 2008). However, circumventing the soil by applying nutrients through aerial plant parts can be a complementary fertilisation strategy, with the potential to address the restricted availability through the root. No doubt, uptake of nutrients applied from the shoot could be affected by surface tension of the suspension or solution, leaf cuticular morphology, age of leaf and environmental vagaries associated with the operations of the stomata (Fernández and Ebert 2005). Ideally, nutrient elements involved in shoot-specific processes, such as Mg, Mn and Fe in chlorophyll biosynthesis and photosynthesis, would be good nutrient candidates for foliar fertilisation (Fig. 1). As reviewed by Fenández and Ebert (2005), foliar application of Fe fertilisers is being used to mitigate chlorosis in crop plants. In addition, foliar application could increase the seed content of the nutrient, ultimately enhancing crop nutritional quality (Wang et al. 2012a, b). Foliar fertilisation may directly affect the yield and quality of leafy vegetables, yet this pathway may be less effective in cereals if foliar-applied nutrients are less mobile and thus more assimilated in leaf tissues, rather than being translocated to the grains. Whereas much is known about foliar application with Fe, the wide-scale application of other nutrients and full integration of foliar strategies into current farming practices would require more in-depth research to (i) obtain reliable and reproducible application regimes, (ii) ascertain the feasibility of integration with pesticide and herbicide applications and (iii) determine crop responses specific to each nutrient and their combinations thereof. An additional benefit of foliar application may be achieved by exploiting synergistic effects. In a comprehensive pot experiment with two controls, without and with basal NPK application, Oprica et al. (2014) showed that foliar application of a mix of N, P, K, Fe, Cu and Mn enhanced nutrient content in leaves and seeds of maize and sunflower, while increasing yield by 50 % over the basal application of NPK alone. It is likely that the availability of micronutrients in the foliar fertiliser formulation may also have stimulated the uptake efficiency of the soil-applied NPK and, to our knowledge, is currently a subject of investigation at the AfricaRice Center. Besides the well-documented role of N-fixation by symbiotic (e.g. Rhizobia) and free-living (e.g. Azotobacter and Azospirillum spp.) diazotrophs, soil microbes contribute to the nutrition of plants through various other processes. Bacillus subtilis can acidify the root environment, potentially helping to increase the solubility of fixed nutrients (Zhang et al. 2009). Pseudomonads streptomycetes and Bacilli serve as bio-fertilisers, producing phytohormones, siderophores and other growth-inducing compounds (Bulgarelli et al. 2013). Yet, other soil microbes function as biological control agents that negate the effects of pathogenic organisms, improving plant fitness, including fitness for nutrient assimilation and resistance to diseases, drought and metal toxicity (Koele et al. 2014). For example, Prasanna et al. (2013) found that inoculating tomato with the biocontrol cyanobacterium, Anabaena variabilis, when the plants are exposed to the plant pathogen Fusarium oxysporium resulted in increased plant growth, yield, shoot P and Zn contents, and correlated with increased activity of pathogen defence enzymes and, ultimately, to reduced mortality of the plants. Therefore, maintaining a diverse population of rhizosphere microorganisms by adequate management may be beneficial in the long run. The strong and multiple interactions imply, however, that the beneficial processes could be highly specific regarding plant species, soil, micro-organism and nutrients. It is estimated that less than 5 % of the soil P is readily available to plants (Bulgarelli et al. 2013). In this regard, a role for bacteria, mainly of the Bacillus, Pseudomonas and Penicillium genera, as well as arbuscular mycorrhizal fungi (AMF) in nutrient acquisition is further demonstrated in their ability to solubilise P mainly from tricalcium phosphate (TCP). Phosphate solubilising microbes (PSMs) perform their role by exuding organic acids such as citrate, acetate, succinate and gluconate, as well as by the enzymatic activities of phosphatases and phytases (Richardson and Simpson 2011; Bulgarelli et al. 2013; Koele et al. 2014). Thus, within the limits allowed by the complexity of soil chemistry and/or resident soil microbial interactions, microbial formulations, or preparations of organic acids that they produce, could be used as soil amendments specifically in soils with low P availability. Such formulations could contribute in the recycling of P fixed in soil from fertiliser treatments, thus reducing the entry of new P into the fertiliser system. Moreover, as P has been shown to increase the proliferation of root hairs, the effect on root density in turn could contribute in the better mining and uptake of other nutrients. In this regard, AMF, as part of the root system, are more extensive in nature and could explore spaces not reached by roots to exploit P for plant use. There has been a call to more accurately identify true PSMs based on their ability to solubilise P from several, instead of single (TCP), P-metal complexes (Bashan et al. 2013a). Indeed, identifying true PSMs with the most promising agronomic potentials is vital, considering the increasing depletion of quality global phosphate reserves and competition for rock phosphate by non-agro industries, both leading to a skyrocketing of the prize of P fertilisers (Bashan et al. 2013b). In contrast to rhizosphere microbes, the potential involvement of phyllosphere (shoot surface-dwelling) or endophytic bacteria in plant nutrient acquisition is not well resolved. Nonetheless, certain phyllospheric microbes could play a role in crop nutrition. For instance, the cynobacteria (Scytonema javanicum and Scytonema hofmanni; Freiberg 1998) impact N cycle by their ability to fix N or convert NH3 to NH4 + on leaf surfaces (Freiberg 1998; Papen et al. 2002). Likewise, endophytes could contribute to plant nutrition of other minerals. For example Bacillus sp. B55 enhances S content and growth in tobacco seedlings under S-deficient conditions (Meldau et al. 2013). Notably, not only does this bacterium reduce organic S, but it also exudes the volatile, plant-assimilable S compound, dimethyl disulfide (DMDS). Therefore, for practical application, considering that DMDS is an organic, and thus biodegradable, compound, the question arises as to whether compound such as DMDS, or the bacteria producing them, could form a component of S nutrition in fertiliser formulations for S-deficient soils. Opportunities, therefore, exist to systematically deploy specific plant-beneficial microbes as part of an integrated crop fertilisation management strategy. Indeed, different microbial inoculants are currently being commercially formulated for use in plant growth. Presently, an inventory of these formulations is being made and is the subject of an upcoming paper. There are indications that some of these bioformulations could be integrated into chemical fertilisers, which could potentially reduce mineral nutrient inputs (Greg O’Reilly, [Industry Stakeholder] personal communication). Nevertheless, the beneficial impact of currently available bioinoculants seems to vary greatly due to the complexity of the interactions, as well as potential issues with the stability of the inoculants over time, and under different climatic conditions. Moreover, many of the commercially available products may lack rigorous scientific evidence explaining their impact, warranting continued systematic research to clarify these controversies. Nanotechnology is an emerging field with a strong promise to affect the current status of fertilisers. As such, this topic has been explored in some detail in this review. Nanomaterials having sizes in the 1–100-nm range are highly reactive due to their small size and large surface area, compared to bulk materials. In 2013, the Project on Emerging Nanotechnologies (http://www.nanotechproject.org) reported that as of March 2011, some 1300 products contain nanomaterials, with the industry projected to exceed $3 trillion by 2020 (Roco et al. 2011). Thus, it is anticipated that before long, the fertiliser industry will fully join in the nanotechnology revolution. Indeed, available evidence indicates that the chemical and physical attributes of nanomaterials can be exploited to achieve useful benefits in crop fertilisation (DeRosa et al. 2010; Ghormade et al. 2010; Gogos et al. 2012). Recently, patents and products containing nanomaterials for crop nutrition and protection are increasing (e.g. Gogos et al. 2012; Servin et al. 2015). Different kinds of nanomaterials, including those manufactured from elements not traditionally classified as nutrients (e.g. titanium, silicon, silver) and nanoforms of micronutrients such as Zn, Fe and Mn, have been demonstrated as being able to improve crop growth and/or content of these elements (Larue et al. 2012; Wang et al. 2013a, b, c; Siddique and Al-Whaibi 2014; Servin et al. 2015). Often, the positive effects of nanoparticles (NPs) on crop growth occur to a greater extent than with the equivalent dose of the same mineral nutrient presented in ionic (salt) form (Alidoust and Isoda 2013; Pradhan et al. 2013; Zhao et al. 2013; Kim et al. 2014), and when applied at the same concentration at relatively high doses, the concentration at which toxicity occurs is lower with ions than with NPs (Dimkpa et al. 2012a; Pradhan et al. 2013; Kim et al. 2014). The enhanced beneficial effects of NPs are due likely to the fact that unlike ionic fertilisers where a significant portion of the nutrients could be lost due to the formation of phosphate and carbonate precipitates or other soil factors, exposure to NPs is potentially controlled by the sustained but low release of the functional ions from the particles which serve as reservoirs of ions (Dimkpa et al. 2012b), with plant-adequate amounts then likely taken up to offset losses due to interaction of the released ions with soil factors. Moreover, ions from the immediately soluble salts are readily available to the roots and could rapidly reach undesirable doses, subject to interactions with soil factors. In addition to solubilisation in the soil (Antisari et al. 2013), some NPs can accumulate inside the plant root and/or shoot tissues as intact particles (Gardea-Torresdey et al. 2014; Antisari et al. 2015). For example, Cu presented as CuO NPs was taken up by maize and wheat in the particulate form (Wang et al. 2012a, b; Dimkpa et al. 2012a, 2013). Similarly, the presence of Fe and Mn NPs also has been observed in plants exposed to particulate Fe oxide and Mn (Ghafariyan et al. 2013; Pradhan et al. 2013), as has been MgO NPs in roots when exposure was via foliar application (Wang et al. 2013a, b, c). Notably, the same crop could differentially absorb different nutrient elements provided to it in particulate form through the root, as observed in wheat for CuO vs. ZnO NPs, where Cu existed in wheat shoot mainly as CuO particles and a lower amount of dissolved forms, and Zn as Zn-phosphate (Dimkpa et al. 2012a, 2013). Apparently, the ZnO NPs are dissolving in the rhizosphere and are initially absorbed by the plant as Zn2+, prior to their complexation with organic phosphate or other organic molecules inside the plant (Dimkpa et al. 2013; Wang et al. 2013a, b, c). Given the possibility that particulate forms of mineral nutrients could be mobilised and remobilised via the xylem and phloem respectively (Wang et al. 2012a, b, 2013a, b, c), unravelling the mechanisms involved in the plant transport of nutrient elements in particulate forms and their conversion into plant-usable forms in planta could provide a promising pathway for micronutrient delivery as NPs or the packaging of nutrients in general in nanoparticle encapsulations that are also capable of being taken up intact by plants (DeRosa et al. 2010; Gogos et al. 2012; Zhang et al. 2012). A recent study (Liu and Lal 2014) demonstrated that synthetic nanohydroxyapatite [Ca5(PO4)3OH] as a source of P supply modestly increased soybean growth, biomass and yield relative to regular triple super phosphate [Ca(H2PO4)2] application. Thus, the development of ‘nanofertilisers’ could be a promising technology by which both macro- and micro-nutrients can be delivered in nanoparticulate forms so that they provide a continuous source of soluble ions as they dissolve in the rhizosphere or in planta after particle uptake. Similarly, current fertilisers can be packaged into forms that enhance their solubility and accessibility in the rhizosphere or in the plant tissue by encapsulating the nutrients in biodegradable nanopolymers that sense nutrient deficiency cues such as root exudate production or pH, releasing their nutrient contents for plant uptake in sync with the plant’s need. Beyond single nutrients, composite NPs of different but compatible nutrients also can be delivered into plant tissues via soil or foliar application, where they slowly dissolve to release ions for plant assimilation, triggered by specific environmental signals. These applications would require an understanding of soil physicochemical properties as they relate to NP availability (see for e.g. Servin et al. 2015), which crops absorb which nutrients in which form, and whether there are dramatic differences in the amount of nutrients accumulated by crop plants from the different forms in which the nutrient elements could be presented to them. Despite its immense benefits, nanotechnology also comes with risks because, similar to all chemical processes, it could have undesirable effects on non-target organisms, including plants and plant-associated soil microbes, depending on NP, dose applied and the biological species (Dimkpa et al. 2012b; Dimkpa 2014; Gardea-Torresdey et al. 2014). Accordingly, any large-scale adoption of nanotechnology for agricultural purposes must be supported by rigorous research to provide a better understanding of its agro-ecological ramifications, including the plant-specificity of the activity of the different nanomaterials, as well as any potential, dose-dependent, biotoxicity. Fortunately, such research endeavours are ongoing in many centres globally, funded by government agencies such as USDA, EPA and their EU and Asian equivalents, as indicated by funding agency disclosures in the published literature. The VFRC is presently starting to engage along these lines with agricultural nanoscientists (see for e.g. Servin et al. 2015). No doubt, fertilisers have made, and will continue to make, notable contributions towards global provision of sufficient and nutritious food. However, due to under-use, fertilisers have not met the needs (increasing crop yield and quality and securing livelihoods) for which they are made, for many members of the global farming community in poor countries of Africa and some other regions. Increasing fertiliser use efficiency is the end result of the interplay among agro-technological adjustment of the use of current fertilisers, ecological literacy, the socio-economic realities of farmers and an improved scientific knowledge base. In the latter case, the continuous, even if fragmented wealth of knowledge being gained from (i) edaphic and soil ecological processes such as interactions among nutrients, (ii) interaction between plants and microorganisms, and between nutrients and soil water—that determine nutrient solubility and availability—(iii) alternative nutrient uptake forms (e.g. nano) and (iv) alternative routes of plant nutrients uptake and delivery can and should be leveraged to develop integrated fertiliser strategies that better address a plant’s need. A research protocol to tune nutrient delivery to plant’s need, therefore, ought to include the following five considerations: crop, composition, packaging, application and ecosystem. More than ever before, a revisit of fertiliser research is needed to move from a mainly ‘lifeless’ physico-chemical process, to a ‘living’ biological process, whereby biologists, in an interactive process, work with chemists and chemical engineers in formulating and packaging the nutrients to meet specific crop metabolic requirements. Macronutrients may be sufficiently present in poor soils but not exploitable by crops because of limited root capacity, which could be increased through foliar application of micronutrients Thus, the array of packaging and delivery mechanisms could exploit synergistic processes while by-passing antagonism. While some new strategies may entail adjustments of farm practices, fertiliser products could easily be integrated in current practices, while new approaches might even reduce input costs and increase farm produce and income. Fertigation, the delivery of nutrients through irrigation, is one such strategy that can be integrated into fertiliser regimes, tuned to appropriate application rates and crop demand, to potentially improving nutrient uptake efficiency (Yasuor et al. 2013). Foliar fertilisers of leaf-requiring nutrients could be provided along with current applications of other agro-chemicals. Fertilisers packaged in tablets, much like dishwasher tablets, would contain the right composition of micronutrients in right quantities for one application per knapsack for a specific crop and area, easing application practices. Nutrient-coating of seeds may not significantly alter existing farm practices. Labour requirements such as those for weeding may even be reduced up to 15–25 %, as is being observed with the deep placement of urea super granules at 7–10 cm below soil surface in rice, compared with broadcast application of prilled urea (IFDC 2014). Recapturing of nutrients either directly lost from the field or after consumption by humans and animals has to become a much more integral part of fertiliser production. Recycling nutrient fertilisers should not only be encouraged because of the finite nature of mined nutrients but as an essential strategy for reducing the amount of new inert nutrients converted into reactive nutrients and released into the environment. Pursuing these different avenues to prompt the uptake of nutrients by crop plants and to recycle nutrients implies that increasing global food production may require the use of less, rather than more, mineral nutrients, globally (Withers et al. 2014). However, mineral fertilisers use should still be increased in continents (e.g. Africa) that currently underutilise them. A coherent revisiting of fertilisers and fertilisation strategies will set the stage for a new paradigm shift involving moving away from the current practice of largely using bulk generic fertilisers: ‘large volume—low value, to low volume—high value’ products. Clearly, transforming from bulk to targeted fertilisers calls for a transition by the fertiliser and related industry. Valuable lessons could be learned from developments in pesticides over the past decades that moved from toxic, persistent chemicals towards targeted, systemic bio-pesticides based on understanding of the relevant biological processes. In that case, research by the public and private sector, along with interventions by governments and concerns expressed by NGOs, all have contributed to the change, as was the involvement of actors in the production and distribution chain in multi-stakeholder platforms (Barzman and Dachbrodt-Saaydehb 2011). Change processes also may be catalysed by entrepreneurs, certainly if changing the course of the mainstream enterprises would require major industrial and business adjustments, including forward or backward integration. Finally, given the link between plant fertilisation/nutrition and human nutrition, associated actors would include those from the health and medical sector, the chemical and food industry, and national and international development organisations. Funding for this work is provided by the United States Agency for International Development (USAID). Thanks to Susan Yiapan for help with manuscript editing.